Above Tank Refugiums…. Say what? Home / Equipment / Above Tank Refugiums…. Say what? Above tank refugiums became interesting to me when I was trying to save space and a little on electricity. 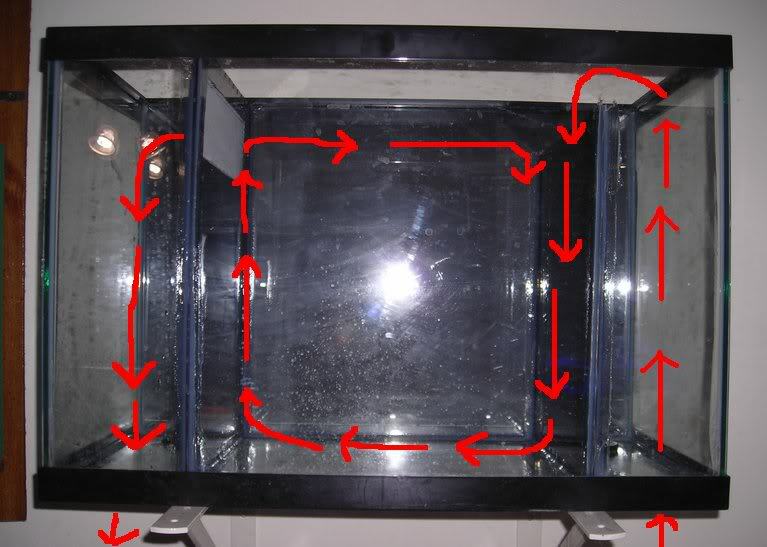 My first above tank refugium was used for holding seahorses and pipefish as an extension to my shark tank.I actually hung a 40 gallon long acrylic tank CAREFULLY over my 240. 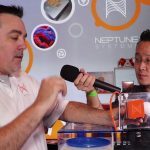 I had one pump feed water from the main display through a UV light into the above tank fuge. Over time, I started using the concept for other uses. 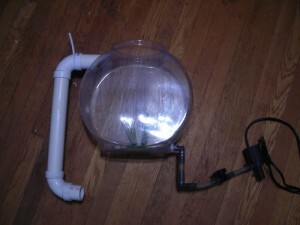 Here is one of my earlier attempts at an above tank fuge as a way to raise seahorses off of the main system. It was a failure but at least it was a building block to what became a well oiled machine. The main issue I had with this version was keeping the seahorse fry from getting stuck to the overflow screen. The benefits of this system was that is was placed above a mature system that was loaded with nutritional live foods that the fry could eat off of the wall of the fuge. 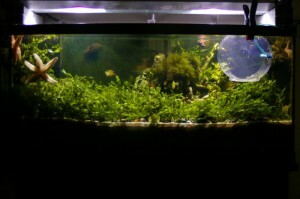 Below is a picture of the mature system and a video of the fry in this version of my above tank fuge. As I was experimenting different ways to use the above tank fuge for seahorse fry, I actually decided to hang a small glass tank on the wall similar to what my first above tank fuge was. It contained modifications that were specific to the needs of the seahorse fry. It was still fed from the main system so live foods would be present but the over flow was modified to keep the fry from getting stuck as well as some modification were made to help keep the pelagic fry floating in the current. 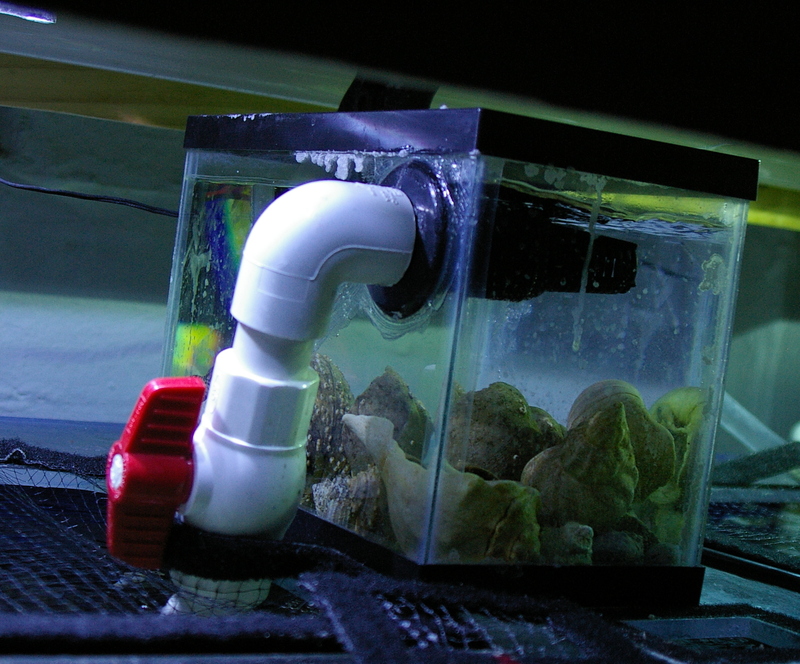 You can also see a video on how the fry were living in this version of my fuge. [stream provider=video flv=x:/www.reefs.com/blog/wp-content/uploads/2011/06/SHBabies.mp4 embed=false share=false width=600 height=360 dock=true controlbar=over bandwidth=high autostart=false /] After my experiments and optimization of the fuge for seahorse fry, I started using them for a live food source for other fish. I’m a firm believer in diversity in food offerings to maintain a healthy system and animals. Unfortunately its not practical to keep many different species together. 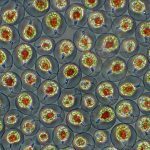 So I started using above tank fuges to house incompatible species on the same system while maintaining the benefit of a live food source. The most recent above tank fuge I’ve used holds Asian Sure crabs which release fry on a regular basis. 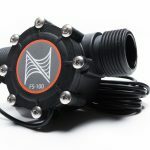 It is a 2.5 gallon tank drilled with a one inch overflow fed by a maxijet 1200. 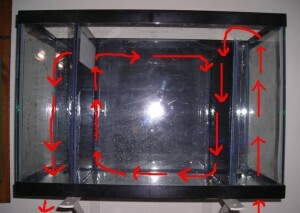 The crabs live in the fuge and when they release fry, they over flow directly into the display tank feeding all of the fish that reside there. Below you can see pictures of the fuge and a female crab carrying eggs soon to hatch. If you can find a practical way to maintain a above tank fuge I highly recommend it. Its the perfect way to create an “automatic feeder” of live foods. 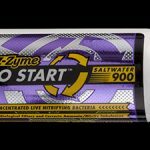 It can not be relied on as a sole food source but definitely will contribute to a healthier diet for your fish. One of the many myths I’ve read on the internet includes on where offering live foods to your fish makes them forego eating prepared foods. This almost never happens in my experience so don’t let that be a deterrent. Happy Reefing! Above the tank is definitely the way to go. The first store I ever worked at had a 250ish gal coral tank and I installed a 40 extra long (48″) on a platform above it. Healthiest fuge I have ever seen. The only coral I ever put in it was an ORA green polyp toadstoll that grew from the frag size to about 8″ in diameter inside 3 months in there. 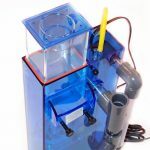 I think the main difference between these and in sump fuges is that above is usually a dedicated refuge whereas the sump versions are usually whatever space that could be spared from the main filtration and sometimes subject to too much flow because of it.